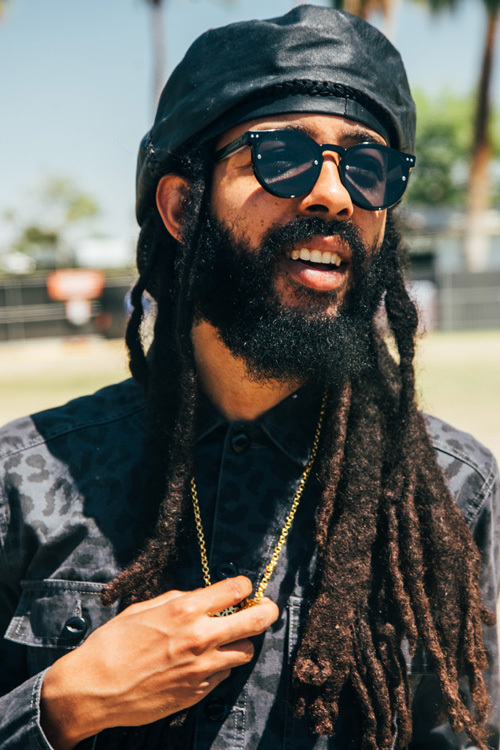 You might think Protoje would be resting on the success of his third album Ancient Future. But one song that missed the final track-list became the seed of his new project Royalty Free: half of which he shock-released as a free download while Festiville was being put together. Because I never wanted to go about it in the same way I have done all my past releases. Firstly, because it is free so I feel like most of the campaign for it can be done “in post”. And, secondly, because it's all about experimenting and as much as I am a student of the music, I am really a student of getting your music out there. Because this is something I have great interest in and want to be able to do for artists that I sign and I look out for. To understand how music is moving and the industry is different in 2016 than how it was in 2010. I just wanted to do something a bit different this time. The album is called Royalty Free. It's got a lot of samples on it. I know you've had some problems getting samples cleared on your previous albums. So are you just doing this so that you can sample what you want and then give it away for free? (Laughter) Angus, you see right through me! It's funny because when I first let the label who I collaborate with in the UK hear this, the first thing they said was "Wow, this is huge! Let's clear all the samples and get this up on iTunes". So I have access to do this and I may clear all the samples anyway. Just so all the business of the publishing can be sorted out and even the people who sample can get what they are supposed to get. But I still heavily want to keep it for free because I am not short of music right now and I just wanted to give this music to my core following and to experiment with sounds. If you follow my album releases this is usually my year off in between records. So why have you decided to bring another album in so soon? If I don't put out this music now, it never comes out. Because the direction of my music is constantly changing and this is the only time for this sound. Because the sound is going to continue evolving and I just wanted to put something in between my next record and the sound of what shall be there. Other artists from the JA reggae movement like Kabaka haven’t done an album yet. Whereas you’ve taken the most traditional route in terms of releasing your music. So it's a surprise that you are going this way. Well, the first thing I put out was the Seven Year Itch sampler. That was a free download. That came out before my record. So I really started by putting the music out there and giving people access. My first two releases were down on Don Corleon's label so obviously I couldn't have decided to release it for free once producers and labels were involved. I have always wanted to do a free project but not a mixtape. 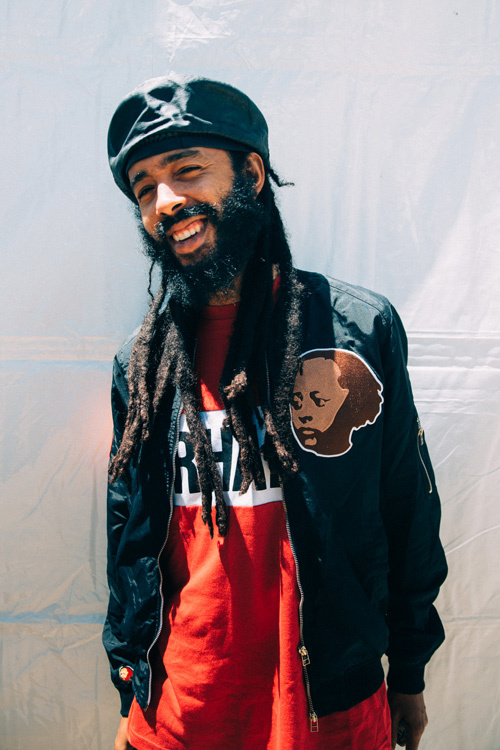 So I have done the sampler, I have done the “This is Protoje” mixtape with Yaadcore. But this, now, is all original music. I could have decided to sell this and it be classified my fourth official release. All the music is produced from scratch. So it's a little bit different but I just wanted to put out some music out there in between because I know people want new music from me - then I can go back to work again. Were you inspired by people like Beyoncé, Rihanna, and Drake in releasing an album unannounced? No doubt. I am on top of what's happening in the music, locally and abroad. The same stuff that worked for me for Seven Year Itch won't work now in terms of a marketing standpoint. Especially because it's free. Keep in mind that even though Billboard premiered the first track Can’t Feel No Way nobody knew that I had a full-length project coming. I saw what Drake did. I saw what different people did. So I just took something and I put my own twist on it. It being Royalty Free Side B. It is a lot more open to what is to come. Why did you decide to release the B-side before the A-side? Is the A-side coming? There is an A-side. It is a full-length. It is 10 tracks and what you got is track 6 to 10. I just do what I feel Angus. I just decided I wanted this to be what people heard first. I just wanted to release it differently and not release a whole record full. I don't have any rules because I am doing it how I want it. I don't have it on iTunes. I don't have a distributor. I don't have anything. I executive produced it so I can do what I want. If I wanted to put out two songs I could have done it. If I wanted to put it on iTunes I could have done it. But I wanted to do it this way. To release side B first and see what the temperature is like. When the first track premiered on Billboard the article talked about an Indiggnation production collective. Can you tell me about that? It’s just the Indiggnation collective. I guess they put production because it was focusing on producers but it is the collective I have been forming for the past few years. It is finally getting a chance to come together in the way I envisioned it and one of the ways is producers that I work with in-house. So this whole project, outside of the Winta James track, was done by in-house producers. You could call Winta that, except he has his own Ovastand thing and we work on a partner basis. Winta is obviously a frequent collaborator of mine. But yeah this is a bunch of young producers including the Drumkeys I worked with on Flight Plans, 8 Track who did Sandra Foster and Tracker John MD who did the first two songs. Including myself who co-produced Flight Plans and other songs. Basically it's an in-house team that is doing beats for me and Sevana and obviously other artists too - but we start in house and then branch out. The first track is Can’t Feel No Way which contains a Dennis Brown sample. Can you tell me the story behind that song and what it's about? The first idea came to me when the Grammy nominations came out. Ancient Future obviously didn't get nominated so we were talking about it. But I take everything in a joke if you know what I mean? There was a joke one time where Twin of Twins were fake acting like Bounty Killer and Beenie Man and Beenie Man is saying "He's jealous of my Grammy". And the reply they made Bounty Killer give was "Yo, Beenie Man, go eat your Grammy with fried fish and bammy". So I always remembered that from 10 years ago. When the nominations came through and I didn't get the Grammy nomination I said to my friends "Yo, I didn't get the Grammy so I have to go eat fried fish and bammy". I just got the idea to be like “Who cares?” I can’t feel no way about that. I have life. I am healthy and strong. My music is getting played all over the world. I just came off tour. It was just a song talking about "Listen, don't be worried about industry recognition. Do music. Feel good about the music you do and just keep working". It was a message to myself and definitely to my peers and more importantly to their younger artists coming up seeing me in a position. They themselves that have come to me and expressed frustration at Ancient Future not getting a nomination. I am very familiar with the sample used in the second track which is Blood Sisters Ring My Bell. How did you and Tracker John decide to use that track? He sent me the Ring My Bell. I didn't know where it came from and then I asked him and he told me. I heard it and I was sitting with that track for about three weeks. I just fell in love with the sound of it and started to write to it. But that wasn't my idea. I didn't find that sample. The producer did. 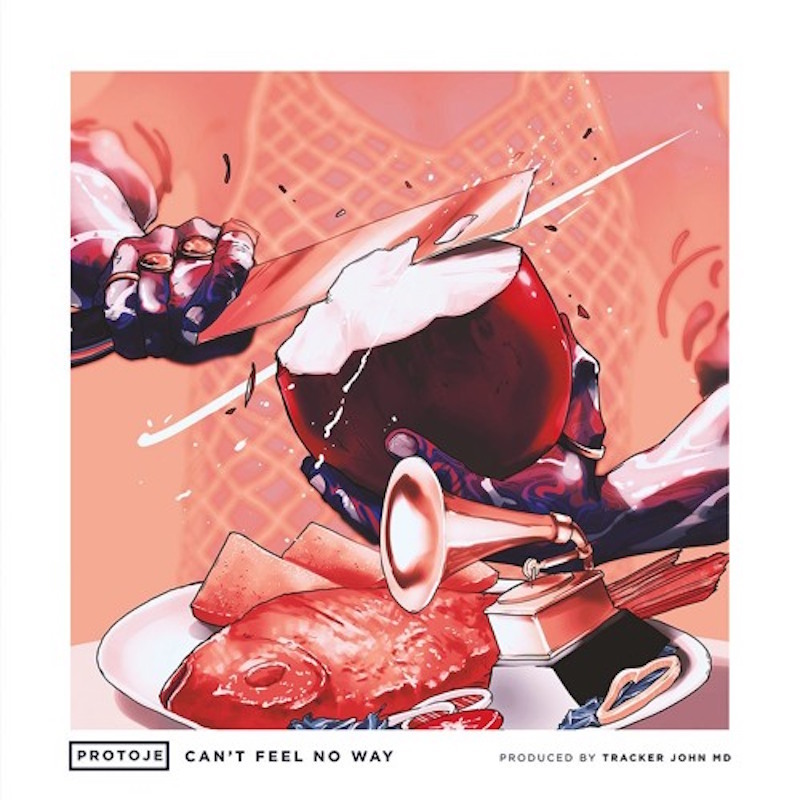 For the Can’t Feel No Way, I heard that sample and sent it to Tracker John. So who is Tracker John MD? He is someone I met in 2005. When I first started to work on Seven Year Itch he was a producer that was sending me beats. It's funny because one song on the side A he actually sent me that beat in 2005. And it sounds no different from what we're doing now with Can’t Feel No Way. We had this sound over a decade ago. Anyway, we didn't get to move on with that work at the time and we lost touch over the next decade. Then about two weeks before we started to work on Royalty Free he hit me up online and was like "Yo, man, I am still making beats bro. I see your stuff is blowing up. I really still want to do some work". I was like "Alright, send me something". So he made Ring My Bell and then in the space of three weeks we had two songs together. After not talking for 10 years! It was crazy. He is based in Connecticut. He is a rapper and producer. He doesn't really do reggae stuff like that but me and him - that’s how we work. He's just super versatile. He's a genius with producing. He does whatever he needs to do. When I told him what I wanted to accomplish with Royalty Free he just fit in and took it to a whole different level production-wise. So it's me and him together trying to formulate a different sound within my sound if you get me? So you will know "Yeah, that's Protoje and Tracker". 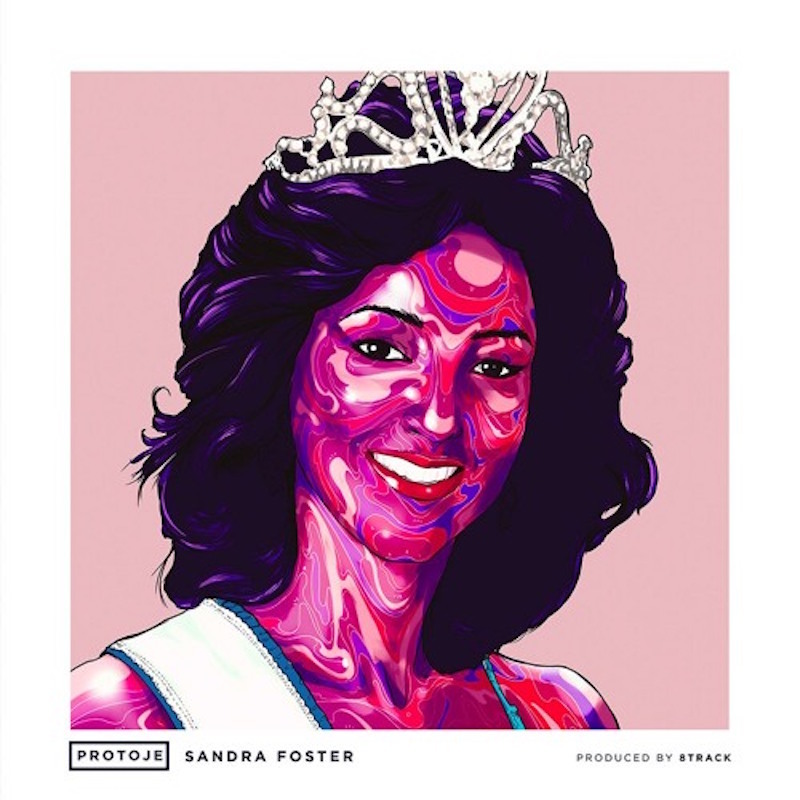 Tell me about the track Sandra Foster which contains a sample of Willie Lindo’s Midnight. Why did you decide to do a song about a beauty queen? Sandra Foster is my favourite Miss Jamaica of all time. It’s the first woman I remember noticing as a nine or ten year old - like "Wow, who is that?" Obviously the most popular Miss Jamaica of my generation is Lisa Hanna. But Sandra Foster was always my first and my favourite. So this song is just a big metaphor for me meeting a girl right now and her reminding me of me being infatuated with Sandra Foster as a little boy. So it's not a song about Sandra Foster but it's a song inspired by my childhood affinity for her, seeing her in a present-day girl. I found an interview that she did in 1991, when she was reigning, with Fae Ellington who is one of Jamaica's most popular TV personalities in the 90s. So I just sampled it in drawing the parallel with my life, being on the road giving up your private life, that sort of stuff. And who is the producer 8 Track? 8 Track is a producer from Bermuda. He just reached out to my Facebook page, saying he is a young producer and he really loves my style and he'd really love to do something. My manager told me about it because I get so many emails from people trying to do something. I was sifting through his work like "Alright, he doesn't really have anything I would want to do some music on but he has potential". So I just reached out and told him to keep sending me stuff. He sent me about 20 instrumentals and about number 21 I heard something and was like "This is the direction". And then he sent me the track that turned out to be Sandra Foster. What do you think about beauty contests today? It has a lot of stereotypes. It has a narrow vision of what beauty is. I guess nobody can claim dominion over beauty to begin with so how can you contest it? How can you do it without having certain people say "It is only for a certain demographic"? So it's not something I really watch like that. But it was something that I grew up watching. My mum always used to watch, my sister and I would just see it. Until I would be 13 years old saying "I think this person is going to win" and they would. I could always see what judges would be going for. So it was something of a childhood fun for me but it still lingers. Like when Kaci Fennell the Jamaican that came second last year was in the top three, I was at my TV watching and thinking "Oh, it would be cool if she would win". Let's just have an interlude where I ask you what you're doing vocally on the album? What direction is this album going in musically for you? I would say me deejaying more. Putting my flow how I'm most comfortable at writing. Like, starting out, this was always the way I’d approach writing music. It is just me experimenting again with that style. Vocally, it is much more aggressive I would say. But at the same time flows and patterns. Like in Sandra Foster just getting to go to 16 bars of just groovy, being able to sit in a pocket on a rhythm and be relaxed and just deliver that type of flow. 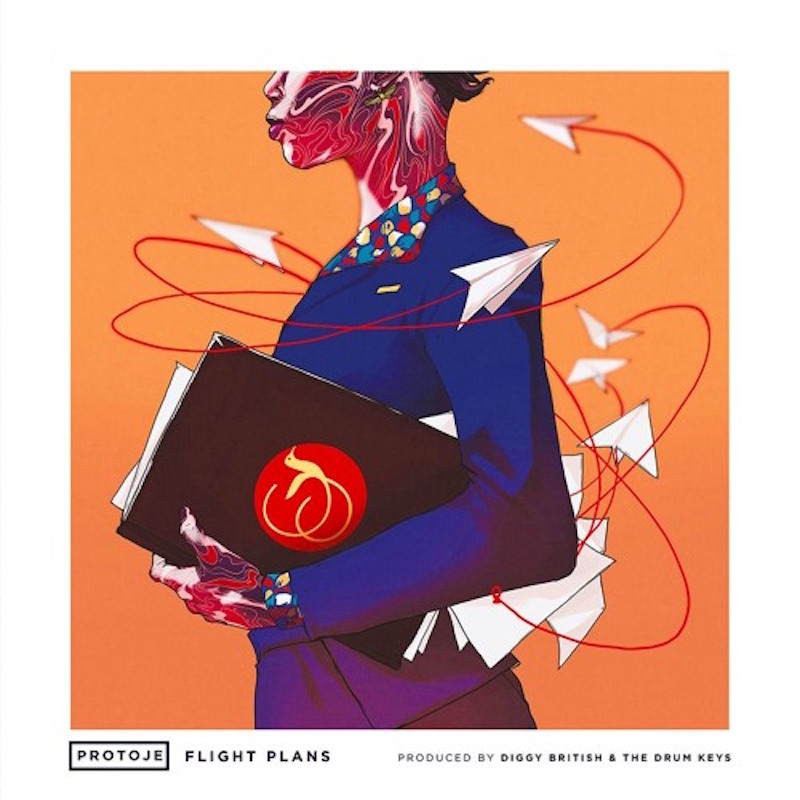 Let's talk about Flight Plans which uses a sample of Horace Andy Baby Don't Go. This melody was also used by Senya for her song Oh Jah Come Now which is one of my favourites. Some artists like Jah9 seem to be really throwing themselves into production. You seem to be approaching production quite cautiously - only producing one track on your last album and co-producing only one track on side B of this one. Yeah, that's my retirement. (Laughter) I am just preparing for what I want to be doing. What I am most passionate about is being an artist. And to be a producer I want to have the standards in production. To do that, the time I have to dedicate to being a producer, it will affect the time I want to spend in being an artist right now. Secondly, I have producers around me that are just better than I am right now. I have Winta producing for me and I am probably 2/10 of where he is as a producer right now. I can make tracks that are brilliant but for me to produce a whole record for myself, I don't want to rush that. That will come eventually. But right now I just do one or two songs here and there for myself, one or two for other artists, and make sure that in all of them, the standard is very high. On Flight Plans I was able to achieve that in how it sounds. This record, it sounds very cohesive but it still has different types of sounds. It started with Can’t Feel No Way, got a little bit more reggae in Glad You're Home, got a little more groovy on Sandra Foster, got into more reggae by Flight Plans and then in Used To Be My Life it’s straight original vibes. So it is done in a way to display different sounds and for me to see what I'm feeling and what works better so I can help push my sound forward. Who sings on the track? That is one person who I am very excited about. Her name is Lila Ike. I know her through my assistant Jamilla who was an intern for me in her last year of university. She just graduated and is now my official assistant. She introduced me to Lila about a year ago. When I kept my listening session at the studio for Ancient Future Jamilla put it together and I met Lila and heard that she was a singer. And then later I linked up with her and a bunch of young artists Grei Show, BLVK H3RO, Runkus, I invited a lot of them into studio to hear Royalty Free. I was chilling with her and she started to ad lib and I was like "Yow, you should ad lib on this song and sing on it". She just went in and did it. I wrote this song a while back. My girl of the time was living in America. It was a whole long distance thing. I went up to visit her for two weeks and she was like "The long-distance stuff is not going to work and at the end of this two weeks we should just call it off and move on, no hard feelings". So that was just me saying that my flight plans are telling me I have two weeks leave and in two weeks she's telling me I have to leave. I just got inspired through that for the first verse. The second verse has to do with somebody different. Another person who I was with and just chronicling what we were going through at that time. So it's 100% all true story. But from two different time periods. 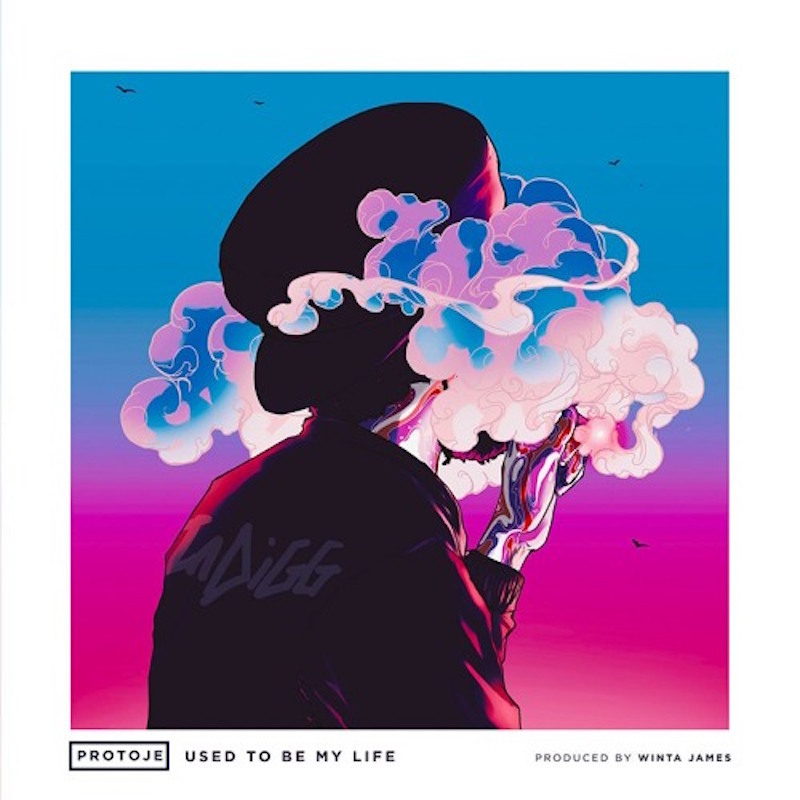 How come you included the only Winta James production Used To Be My Life which contains a sample of John Holt's cover of David Gates’ Baby I’m A Want You? This was meant to be part of Ancient Future, right? Used To Be My Life is what started the whole idea of doing Royalty Free. Used To Be My Life was track 12 on Ancient Future and we couldn't get the clearance in time. So we had to leave it off. That track is produced by Winta James with additional production by Prince Fatty. This started the whole concept because I was like "This song is coming out". Obviously, Winta might not have production credits on other songs but they were definitely nights in the studio where we have sessions back to back. Like he would have a session from 5 till 8 and I would have a session 9 till 12. He would sit in and be like "I like how this sounds." Or "Yeah, that's drum sound good". "Yo, your voice could be a little bit more". So it's still the same team. It's like when he does his new rhythm Mile High, it’s not an Ovastand and Indiggnation project but I am in studio with him and we really work together. His ear is listening to Royalty Free and making sure it sounds up to a standard. He is big brothering me as an executive. Tell me about the lyrics for the song. What used to be your life? I wrote this when my friend died. My friend who I started to do music with. Diggy comes from what our name used to be when we were in high school. He died in a car accident. So this was just me reflecting on the time when he died. At the time I was in a bunch of different stuff. I speak about it in Seven Year Itch when I say "My herb customers calling me and now my music demanding me". I cannot touch about it again. Used To Be My Life was written for Seven Year Itch. This song is about 10 years old. I wrote this song for Seven Year Itch and John Holt recorded it with me but I lost the file with his vocals and obviously he passed away a couple of years ago so I never got it back. But this is one of my first, probably the first song I wrote for the Seven Year Itch. This is the song that started me doing reggae music. This was the first song that I wrote to say “This is going to be my new journey as an artist”. Can you tell me a bit more about where the name Diggy comes from? He used to always say "Diggy" in between Ovadose. So it was just a slang like "Ova-diggy-dose". And that's how that's how the whole Diggy came about. We just started saying that. And that's how people started to call me and stuff. That is the direct lineage of it. Damian, he died in 2004. This was in the midst of me starting to work in the Seven Year Itch. When he died it was me saying, when you listen to the lyrics "I do it all for you, all for the few, who got me through when all I had was music". Because at that time nobody was playing any music for me or anything. So it was the song that really started off my whole thing. The song reminds me of being at a festival and seeing John Holt collapse on stage. He was taken to hospital and he survived for a few weeks after. Thank you very much. It's one of my most therapeutic songs. This was written at a time when it was almost hopeless. Like "What shall I do? With a sound like this that nobody is linking to?" I remember my mum being my manager at the time and her believing in me. And in that second verse it's me saying "Listen, I am going to go and get this done." And the fact that it is released at the lyrics can say "You see how proud I look to be to be exactly where I want and with this road I took", even though it was written 10 years before it happened, it's a special moment for me when that song comes out. So tell me about the A-side - the half that's never been told? (Laughter) The A-side. I can't say. I don't really know what to tell you about it apart from it is there. I don't know when it will come out. I am not even concerned about that right now. I am more concerned about the B-side and what's going to happen with it. In this present day I'm not going to tie myself to any timeline with it. It is there. It is not getting any staler. Trust and believe that. I think I want to challenge the way in which we listen to music right now. So I'm going to put out tracks 6 to 10. I don't think that's ever been done before. And see how people respond to the second half of the record. Then, when the first half comes, it will come. It will come with much fanfare! Does it have samples on it or is it all live instruments? (Laughter) It does have samples on it. And as I said, Angus, this is me getting this out of my system. As I have shown with every release I have put out, the sound is going to always be different. It is never going to be the same thing. This sample life, I am just trying to get it out of my system on Royalty Free. The whole thing about it being for free and encouraging people to share and spread it? The main thing was arming my fans with the ability to be on Twitter, Facebook, or any media and be able to download this for free. The free download is going to be on my website Protoje.com. That was a key thing for me. To really arm my fans to feel like "Yo, the artist give me this and I can email 30 people and say you need to download this and really energise them". That was a key thing I wanted to do. And just to take control of how I put my music out for a bit. But I would really like people to be energised to share it as much as possible. How do you feel when people file share your other albums? Can’t Feel No Way! Honestly, I like to move numbers so we can show that reggae music is standing up in the modern industry. So that that means more jobs for the economic side of it. But it's all a means to an end, which is people listening to the music. If I can inspire other people to come out to shows and buy the music then first I need them to hear the music. Then, I am sure people who hear my music bootleg will then go and support it after. Who wants to buy music is going to buy music. And guess what Angus? If you can't get 100,000 people to download your album for free you certainly can't get 100,000 people to buy it. I am just expanding my reach right now. How many people can I get to download Royalty Free? Suppose I get 100,000 people to download it? Now it puts me in a much better position to campaign my album for sale. If I choose to do that. There's this guy called Ryan Leslie who sells all his music off his website. Now he might only sell 15,000 copies but that's 15,000 copies of $10 going to him. People going to his website and seeing all his other merch and getting exclusive stuff. And he is telling them “Thank you for your purchase I really appreciate it”. He is taking control. There are different ways you can go about the music right now. Who is to tell whether music will be 10 years from now? We don't know. We don't know what will be the platform. DOWNLOAD THIS INTERVIEW AS PART OF FESTIVILLE 2016 HERE!